The Noa is a 7-batten, no-cam slalom sail that draws its DNA directly from Naish’s decades of slalom and racing experience. The Noa is a 7-batten, no-cam slalom sail that draws its DNA directly from Naish’s decades of slalom and racing experience. It features a deep, powerful draft combined with a clean, aerodynamic shape. This delivers a crisp, balanced feel and straight-line speed that rivals a modern race sail, yet—thanks to its no-cam design—is easy to rig, and allows intermediate level sailors to jibe like pros. 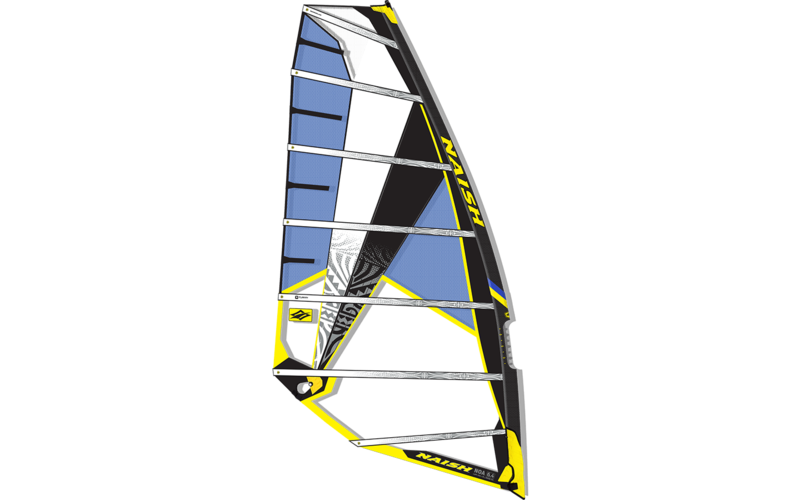 The Noa is perfect for intermediate-to-advanced sailors seeking great speed and acceleration in an easy-to-handle, high performance, “hassle-free” design.